Most Zyxel Switches have limited lifetime warranty*, this is to upgrades time it take to replacement switch. Three comprehensive levels of enhanced support mean that, should an issue arise, ZyAssure will allow businesses to minimise any impact. Support options offer remote technical support and diagnostics during weekdays with support staff able to remotely access real-time configurations, check hardware/software revision levels and perform system checks. ZyAssure provides peace of mind that that technical issues will be resolved efficiently with minimal impact to business. 9×5 Remote Diagnostics performed by ZyXEL Support staff who may access real-time configurations, check hardware and software revision levels, and perform system checks such as port statistics to enable the prompt resolution of technical issues. Advanced Hardware replacement for arrival within next business day (NBD)* This service ensures that you receive the replacement hardware promptly in the unlikely event the issue cannot be resolved by the ZyXEL support staff. The service guarantees your ability to have issues escalated with priority into ZyXEL’s Customer Support Organisation globally. 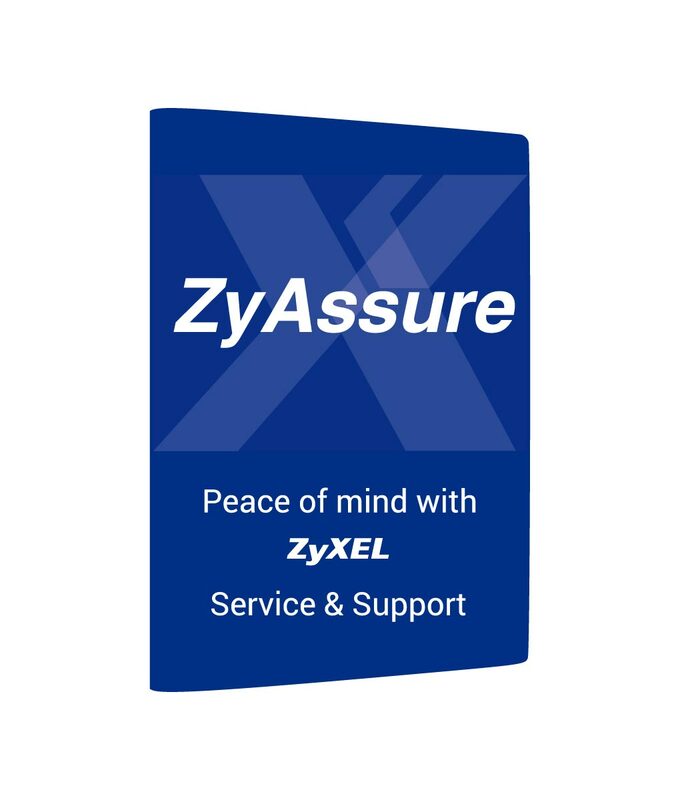 The ZyXEL ZyAssure Advanced Replacement Service is available to upgrade your product for 4 year.